The OAS Modbus IOT Data Connector allows you to connect directly to Modbus slave devices or host data to Modbus masters with the built in Modbus Driver Interface which supports communications over Ethernet and Serial interfaces with Modbus TCP, Modbus RTU, and Modbus ASCII protocols. Easily add Modbus communications in Real-Time Automation with just 1 click! 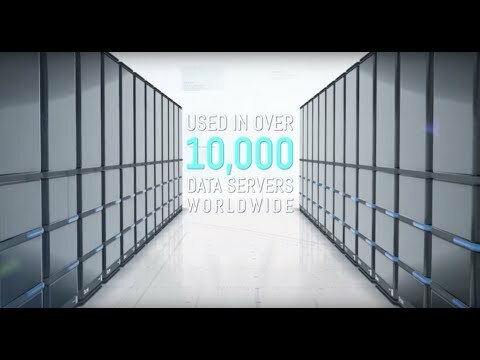 Hosting Modbus live data has never been any easier. 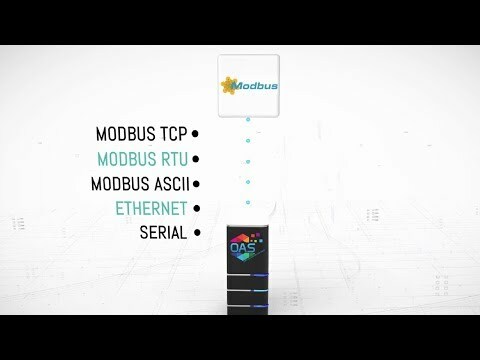 You can implement all 3 protocols, Modbus TCP, Modbus RTU, and Modbus ASCII protocol on both Ethernet and Serial Port interfaces with the Modbus Master connection. Modbus TCP over Ethernet and Modbus RTU and ASCII over Serial Ports with the Modbus Slave connection. Host data from OAS to Modbus masters over Serial Ports or Ethernet. You can run multiple Ethernet connections in parallel to provide the fastest overall communications possible. Modbus TCP, Modbus RTU, and Modbus ASCII are all supported over Ethernet. Implement Modbus RTU, Modbus ASCII, and even Modbus TCP over RS-232 and RS-485. Directly access Modbus compatible devices and master from anywhere. 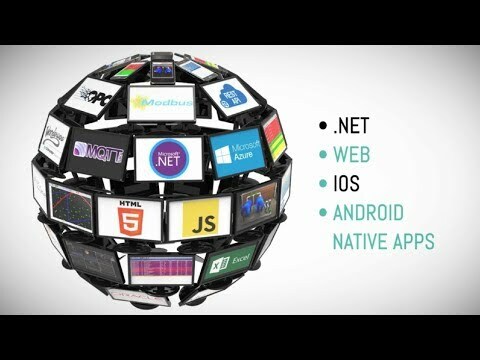 Host live Modbus data over the internet with any PC and a standard internet connection. Setup Modbus addressing programmatically or with Microsoft Excel simple import and export. View and control data for Modbus directly from your Android, iPhone, iPad, or Windows PC. Create Visual Dashboards of Live Modbus Data with Microsoft Visual Studio! Integrate Live Modbus Data with other SCADA / HMI platforms.